The Kayak Search Team is a dedicated team of highly competent kayakers. All team members are qualified and operational Lowland Search Technicians, who have developed these skills for the water environment. All are skilled paddlers, capable of using a range of craft. Most of the team are active white water paddlers, and all are coaches with British Canoeing Safety and Rescue qualifications. 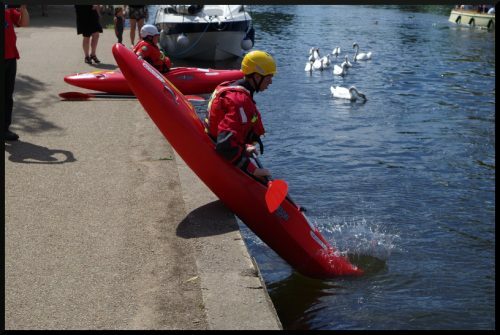 Kayaks are an ideal rapid deployment water search craft, which can be used in any waterway, but are especially useful in shallow, narrow, environmentally sensitive or difficult to access waters. Since most of Warwickshire’s waterways are small and shallow kayaks are the ideal search vehicles for these waterways. Warwickshire Search and Rescue were successful in their application for funding from the People’s Postcode Lottery. This has enabled us to buy new kayaks, as well as all the personal protective equipment (P.P.E) required to use them safely, including helmets and dry suits. This means that our kayak team can deploy faster than previously, as all the equipment they need will be at the meeting point. We would like to thank the People’s Postcode Lottery for helping us to provide this essential service to the residents of Warwickshire. 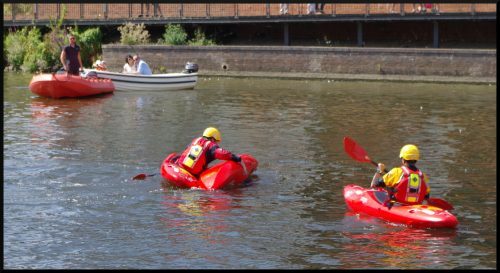 If you are interested in joining our Kayak Team, please visit the Join Us page for more information. If you have any further questions, e-mail volunteering@warksar.org.uk.